If you have any questions or need more information, contact Newsletter Editor, Jonathan DeBor, at pctelanews@gmail.com. Pieces may also be submitted through that email address. General reflections on issues, practices, and trends in the teaching of English or education in general. Reviews of books, websites, or other classroom materials. Poetry, artwork, and photography, especially those items which reflect a theme of English and Language Arts education. News about individual achievements, awards, and honors. Information about upcoming events for educators and students. We remind you that PCTELA members look for articles and information that focus on practical applications of theory and research rather than formal research studies. We aappreciate your suggestions and questions with regards to the types of offerings and subjects for this and future offerings. DEADLINE FOR SUBMISSION IS January 31st, 2015. 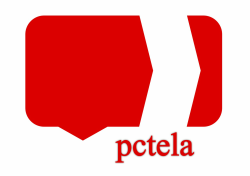 Please send all submissions to pctelanews@gmail.com.